Music is good for the soul. We desire to listen to our favorite songs all the time. We enjoy listening to them in our cars as we drive to and from work. Your favorite song can really improve your mood and help you face the day with a smile on your face. To enjoy your favorite music, it is best to use a car stereo that gives you pristine clarity and lets you enjoy every note. The car stereo system that your car comes with from the factory may be good but not as clear as you would want it to be. This is because most car manufacturers use low quality materials and bad design for their car stereos and speaker systems. Thankfully, there is a huge variety of aftermarket equipment which you can use to upgrade your car stereo. Read on to find out everything you need to know about upgrading your car stereo. Before you begin buying and installing new pieces of audio equipment in your car, you should first of all determine a couple of factors. Firstly, what sort of budget do you have? Are you looking to upgrade your car audio system on a shoestring budget or are you willing to spend a lot of money on it? Secondly, are you looking to replace every single piece of car audio equipment in your car or just a few? Asking yourself these two questions can help you to find out how much money you intend to spend on upgrading your car audio system. Once you have a budget, it is time to figure out the specifications of the items which you want to get. If you plan on replacing the head unit, which features do you want your new one to have? Are you interested in a unit which only has a CD player or one that can even play music from your iPod? Perform some research to find out the capabilities of modern head units. After that, pick out the features you want and then pursue the models which have them. This process is the same for picking out all the other audio components which you plan on installing in your car. Also known as the car stereo, this is the most important part of your car's audio system. It is the unit which sends the sound signals to the speakers and other elements of your car audio system. Today, there are head units which can perform a variety of functions. Some of them are capable of using Bluetooth technology, providing GPS navigation and playing music from your secondary devices such as your iPod, flash drive or micro SD card. Depending on the features which you want and your budget, you can research and find a head unit which fits your requirements. You can then install it to replace your old one. These are the main sound output channels of your car's audio system. They are definitely an audio part which you should upgrade if you want to enjoy crisp, clear sound. There are many car speaker manufacturers in the market. Examples of these are Kenwood, JBL, Rockford, Pioneer and Polk Audio. There are also various sizes and types of speakers. Examples of these are 6.5, 6 x 8 and 6 x 9 speakers. In addition to that, there are two categories of car speakers. These are the full-range and component speakers. Also known as coaxial speakers, the full-range type has the tweeter on the woofer. On the other hand, component car speakers have these elements separately. An important point to remember is that your car speakers must match the OEM hole of your car. This is very important so as to ensure smooth installation. If you are not sure about the OEM hole size of your car, simply head to the Metra website and perform a quick search. Enter your car model and the online system will present you with the size of its OEM hole. Most stock and aftermarket car stereos cannot provide sufficient power to your car speakers on their own. Thus, you need to install an amplifier to boost the sound signal from the car stereo to the speakers. A good amplifier will enhance and boost the sound signals from the head unit and direct them to your speaker enabling you to hear every crisp note in your music. There are two types of amplifiers. They include the mono channel and the multiple channel amplifiers. A mono channel amplifier can only boost the signal for one speaker while a multi-channel amplifier can boost the signal for up to 6 speakers. It is advisable to buy a multiple channel amplifier so as to give you the flexibility to expand your car audio system in future. There is a huge variety of amplifiers in the market for you. They are of various models and power ratings. As you pick an amplifier, make sure that you pick one which fits comfortably in your budget. Moreover, remember to check the RMS rating of your speakers. Your amplifier's power should match the RMS rating on your car speakers. This is so as to avoid overpowering and destroying them. The bass thump in your music normally has a low frequency. A special type of speaker is required to play this low frequency sound in a clear and crisp way. This speaker is known as a subwoofer. There are three main sizes of subwoofers. They include the 8 inch, 10 inch and 12 inch subwoofers. As you begin the journey of upgrading your car stereo, you can do quite well with two 8 inch or one 12 inch subwoofer. Do some research so that you can pick a unit that fits in your budget. It is important to note that you should provide your subwoofer with amplified sound. This means that one or two of the channels on your amplifier should be dedicated to your subwoofers. This is how to deliver crisp, powerful sound to them and hear the deep bass in your music. Once you buy all these items, it is time to install them in your car. If you plan to do it yourself, ensure that you perform all the safety procedures first. Wear some goggles to protect your eyes and gloves to keep your hands safe and insulated. Moreover, be aware of the electrical power around you. 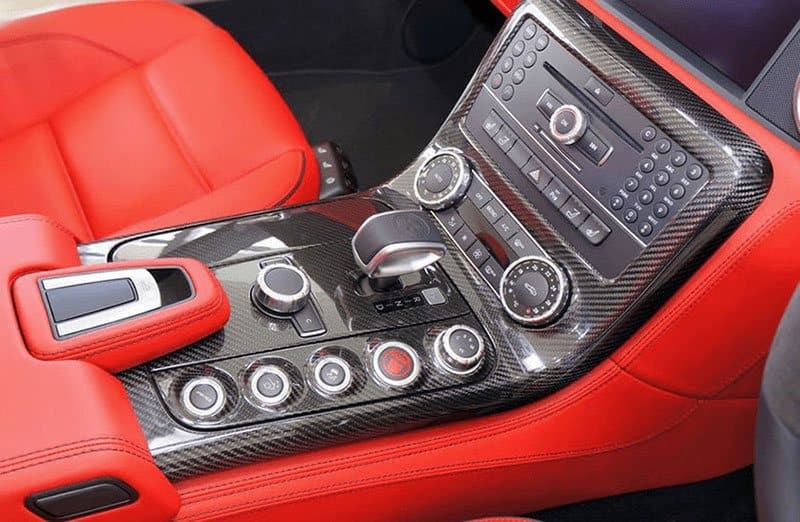 On the other hand, if you plan to have a professional car audio specialist do it for you, make sure that they are insured so as to receive compensation in case your equipment gets damaged during the process. After the new car audio system is installed, feel free to enjoy your music and hear it as never before.